Dive into Lee Hillberg's debut book, One Man's Spiritual Journey to Healing with Color Energy, and discover your powerful potential for growth when connecting with God. Lee Hillberg felt an intense calling to write his debut book, One Man’s Spiritual Journey to Healing with Color Energy, to share his story of how his spirituality developed and how it has worked in his life throughout various trials. He practices traditional Native American philosophy and the belief that the spiritual application of colored energy can heal a multitude of conditions such as depression and other chronic illnesses. In a world filled with pain and suffering, Lee’s book offers an alternative solution to the conventional wisdom we’ve always known. 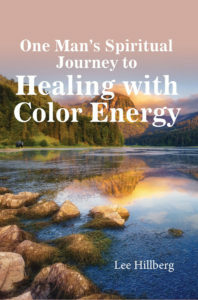 One Man’s Spiritual Journey to Healing with Color Energy is a vivid introduction to the concept of healers, the healing properties of color, and how God works through them. As a minister, Native American shaman, and healer, Lee hopes that this book will provide inspiration, comfort, and healing to all who open their minds to the spiritual process he describes.